LLumar window tinting dealers install high quality commercial tint in Brea. Help save on energy expenses, give your business an added layer of security, and work more comfortably with commercial window tinting. 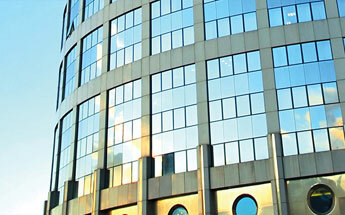 For more than half a century, LLumar's commercial window tints have offered businesses increased protection from the sun. Even now, we continue to help business owners and managers create stylish, comfortable workplaces. At your Brea commercial window tinting dealer, you'll find that our specially trained technicians have been handpicked to provide you with a superior experience. Get a fast and free tinting estimate from your Brea commercial tint location! When you choose custom window tinting in Brea for your business, you can help reduce your facility’s energy expenses while achieving a look that’s professional, polished, and unique to you. Ranging from crystal clear to deep charcoal, there’s a tint shade to match the needs of your business. Your LLumar specialist can install a non-reflective window tint for your business, which offers a consistent look that melds flawlessly with the existing style of your building. For companies that could benefit from a shinier exterior to enhance solar heat rejection, but a less reflective interior for added privacy at night, a dual-reflective option is also available. Custom office window tint is for more than the exterior of a building, though! On the interior of a building, it can be installed to offer style, privacy, and comfort in offices, conference rooms, cafeterias, and even stairwells. Call a Brea LLumar window tinting dealer today to discuss the many options available for your next office window tint project!